The ATI staff would like to say thank you to all Veterans for your service and sacrifices. We are proud to have an active duty veteran as part of our management team. 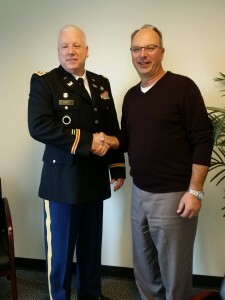 Our President, Goran Samojlovski saying thank you to our Operation Manager, Jeff Croy (Lieutenant Colonel, US Army).